A view of Putney Common with the hospital in the background. 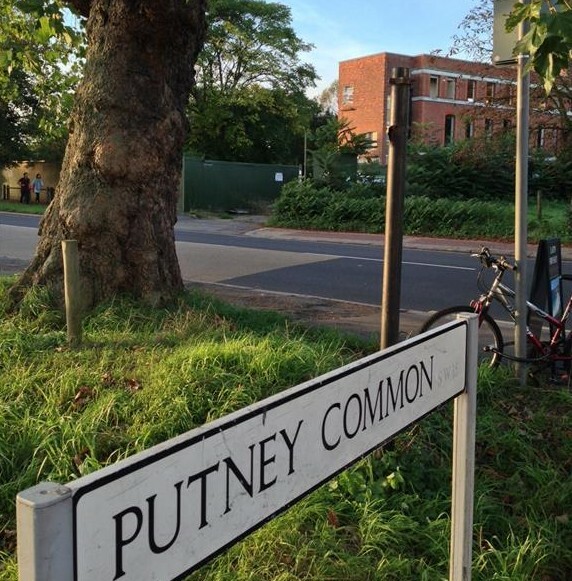 Following the last update on planning applications in Putney at the end of January, those a few issues happening at the moment. The application for Tileman 113 Upper Richmond Road was approved at last month’s PAC. On the Putney Society website, you will find a letter sent to the PAC members in advance of the PAC after the officer’s report was made available. The application sailed through the PAC but there are still remaining issues about the process. The PS will further contact the Council on their remaining concerns. This application was a highly contentious one (see our previous article). The initial proposal was reduced from 15 to 12 storeys and in mid flow of consultation further reduced to 11 storeys but in real terms only by 1.5m. Whilst we were told by WBC that the SSAD would be a plan that would take years to become a building reality, 4 of the 6 sites identified in the Putney Town Centre South are in full application/implementation stages. These sites are all terribly close to one another and some applications are being lodged at the same time. The application for the erection of part 4, part 8 and part 11 storey hotel containing 140 rooms, and associated restaurant and bar,has been withdrawn by the applicant. It is believed that the owner is planning to implement a previously approved scheme for the “Erection of a fourth floor infill extension and construction of a new fifth floor and use of the ground and first floors as offices, and the change of use of the upper floors to provide 14 flats with 14 off-street parking spaces at the rear” (LBW ref:2007/6359). For info, this site is part of the SSAD and on the original version the maximum height was showing as 12 storeys. 3 buildings ranging in height from 15-storeys (up to 53m), 6-12 storeys (up to 45m) and 8-10 storeys (up to 38m) mixed-use scheme comprising: 197 residential units; 2734sq.m offices (class B1a); 1216 sq.m flexible retail/financial and professional services/restaurant/café/offices/non-residential institutions/assembly and leisure (A1/A2/A3/B1a/D1/D2); 134 basement car parking spaces; 3 car club spaces at ground floor; 236 cycle parking spaces ( LBW ref 2010/5483).This application involves 1450 pages of documentation !!!!! This proposal seeks to replace the existing 2 buildings (one 6 storeys high and and one 7 to 9 storeys, 7600sqm offices). This is the site where a previous application by Oracle for one 26 storey and one 21storey buildings for mixed use was refused by WBC. The current developers of the site have consulted with residents, amenities groups and held a number of public exhibitions. They made a number of alterations to the scheme as a result but not on the height of the building. As the address suggests, it is only yards from the above proposal. This site in the first SSAD was showing maximum height of 15 storeys. It is one of the sites where the town centre boundary was extended by WBC to incorporate previously residential space in a residential road. The proposal is for 3 blocks 12-13 storeys high (up to 41m), 4-9 storeys (up to 29m) and 1-2 storeys (up to 5.5m) to provide 104 residential units, office accommodation, retail, cafe/restaurant uses, together with a new public piazza, vehicular access, and basement car and cycle parking. This would replace one 8 storey building and one 4 storey building and a large car park that comprises 1/3 of the site. The site is being developed by St James and there has been a good level of consultation with the neighbours and amenities groups. Some alterations have been made to the proposal including the reduction of height from 15 to 13 storeys. ( LBW ref 2011/0054). Tileman House: 131 Upper Richmond Road ( near Putney High Street and Putney Rail Station). This application is due to be put to the Planning Applications Committee in February we believe. This site was identified also in the first SSAD for a maximum 12 storeys. A 7 storey building mixed use stands on the site. A 15 storey proposal was declined by WBC and again on appeal. The applicant returned with the same scheme with reduced heights down to 12 storeys at its tallest .No consultation with residents or amenities groups by the developer. Just a few words to update you on what is happening in Putney at the moment. Tote was the hotel from Travelodge at 11 storeys replacing an office building that stood at 4 storeys. The application has been withdrawn and it looks like the site has changed hands and it is said that they will be implementing a previously approved application given in 2007 at 5 storeys. Putney Place (site opposite East Putney Tube) where previously 2 towers one at 26 and the other at 21 storeys was opposed at a well documented public meeting organised by the Putney Society and then declined by the Council. Site has changed hands. The new developers have involved the local residents and have produced a scheme that meets general local approval APART from on the height which so far is max 15 stories, with other blocks at 8 , 10 and 12. They have engaged well with the local population and done public exhibitions but we do not know yet what they will finally submit. Tileman have come back with the same proposal but taken off 3 storeys here and there to get main block down from 15 to 12 storeys. Capsticks has been purchased by St James. They have consulted with neighbours and done public exhibitions. They are also proposing a building at 15 storeys.This is at pre application stage. All in all, the SSAD original heights and types of developments are being followed almost to the letter in terms of proposed heights, use and footprints. Regarding the size of buildings, CJAG reported: “During the public hearing on the Core Strategy examination, Thursday 4 February at the Town Hall, the inspector made the point that developers will look at any suggested maximum and see it as the green light from which to start.” The Council acknowledged the issue and has decided to remove all the upper limit indications… too late maybe! Skyscrapernews.com published an article on September 27th revealing that David Miller Architects has new plans to replace an old five-storey office building by a hotel made by 3 elements up to 10 storeys (140 bedrooms) in Upper Richmond Road/Woodlands Way. “The schemes massing features three main volumes including an elliptical 10-storey tower element that curves to respond to the corner position it overlooks, an 8 floor middle section, and a low-rise 3-storey section at the back of the building. These are then broken down by the architect further with a variety of cladding materials including clear glazing on the ground floor retail element, aluminium cladding on the tower section that’s been chosen for it’s metallic look to contrast with the solid, less reflective brick employed elsewhere. Adding a further counterpoint will be the black framed vertical window sections adding a certain soar to the project despite its modest height.